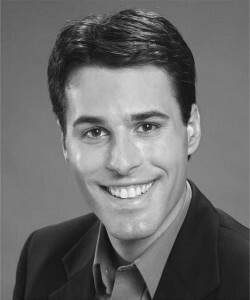 James Barbato most recently completed a residency with the Boston University Opera Institute, where he performed Ferrando in Così fan tutte and Edgardo in Lucia di Lammermoor, as well as leading roles in three contemporary American operas under the direction of the composers – Lorenzo in William Bolcom’s Lucrezia, Camille in Tobias Picker’s Thérèse Raquin, and Oppen in Jorge Martín’s Tobermory. A graduate of the Eastman School of Music, he was previously a resident artist with the Tri-Cities Opera of Binghamton, NY where his performances included Don Ottavio in Don Giovanni and Tamino in Die Zauberflöte. He has also been a young artist with Central City Opera and Opera New Jersey, appearing on the mainstage with those companies as Normanno in Lucia di Lammermoor and Tybalt in Roméo et Juliette. As a recitalist, he has been a frequent guest of Cornell University, performing a series of concerts with fortepiano featuring the Lieder of Beethoven, Schubert and Schumann. During the summer of 2010, Mr. Barbato sang Don Ottavio in Ash Lawn Opera’s production of Don Giovanni, and also performed chamber music as a member of the Marlboro Music Festival.